Ethics, Morality And A Ticking Clock For How To Report On The R**skins : NPR Public Editor An investigation into how NPR should refer to the Washington team concludes that it is time to pull back on using the team's name. Does anyone believe it won't be toast anyway? The "Proud To Be" video, part of the Change the Mascot campaign by the National Congress of American Indians and the Oneida Indian Nation. When Scott Simon, the host of Weekend Edition, referred to the Washington Redskins as "the Washington football club whose team name I refuse to utter," the divided reaction by listeners crystallized a creeping ethical and moral dilemma for NPR and all the mainstream media. "Kudos to you, Mr. Simon," wrote Steve Bambara of Raleigh, N.C., "for refusing to use the name 'Redskins' when talking about the Washington-NFL. I have thought this is the best solution. If all media refuses to use the term, it will fade into the background." The call for banning the name in news reports is being pushed by a coalition of more than 250 tribes represented by the National Congress of American Indians. Among the dozen or so news outlets that have agreed to do so are The Oregonian, San Francisco Chronicle, The Seattle Times, Kansas City Star, The New Republic, Slate and Monday Morning Quarterback, an online part of Sports Illustrated. The word "redskins" is a racial slur. No doubt about it. But is it in the context of the team's 80-year-old name? A second front against radio and television, meanwhile, opened when Reed Hundt, a former chairman of the Federal Communications Commission, and 11 other broadcast experts co-signed a letter last spring to the Washington team raising the threat of regulatory intervention over coverage. They called the team's name "an unequivocal racial slur" and "the most derogatory name a Native American can be called," which Hundt explained in The Washington Post may violate the FCC's decency rules for public airwaves. But the reaction by NPR listener Fielding McGehee of San Diego, Calif., to Simon presented the dilemma in a different way. The team name is "unfortunate," McGehee said, however adding: "But the problem is, you are a newsman, and as such, your role is to report the facts. It doesn't matter what you think about the facts, the truth of the matter is, the name of the Washington football team is the Redskins, and as a reporter—and until such time as the name has been changed—you need to bring yourself to say the word." NPR editors and sports reporters this past season met on the issue and decided to continue to use the team's name in news reports, editors told me. "Since the name of the team is the Washington Redskins, we use that in our reporting," Deputy Managing Editor Chuck Holmes said. But he added, "We also continue to cover issues prompted by the name." And so it is that since the beginning of last year, 23 NPR segments used the name of the team without comment, and another 14 either focused on the name dispute or mentioned it in passing. Hourly newscasts were not counted. Use of the name is in keeping with the practice of the overwhelming number of mainstream news outlets. Many, such as the hometown Washington Post, have editorialized against the name. So have a growing number of sports columnists and personalities, among them NPR's Frank Deford, NBC's Bob Costas and Cris Collinsworth and more than a half dozen associated with ESPN. But they still repeat the name. So, which side is ethically correct? My first reaction, and that of most colleagues I consulted, was "Give me a break," and to agree with the newsroom and listener McGehee: NPR reports. It is up to society to change the usage of the name, or to the team to change the fact of it—not NPR. But as I sifted further through the arguments, I discovered that the answer is not so easy. It turns on how you answer several more questions and weigh their importance. The word "redskins" is a racial slur. No doubt about it. But is it in the context of the team's 80-year-old name? Do most Americans think anything negative about Indians when they cheer, jeer or just say the name? What do most Native Americans hear in the name? Are the protesters just overzealous advocates long on "political correctness" and short on humor? Is there any proven harm being done to Natives? Or, relatedly, have we made mascots out a defeated people without asking them how they feel about it? On what side does the history of the name fall? Those are just the factual questions. There is a moral one, ethics and morality not being the same thing. Is there a deeper moral issue of right and wrong at stake here, no matter what polls or studies show? If so, at what point does a news medium, especially a publicly supported one, have a responsibility to take a moral position? Or is its higher moral responsibility the professionally ethical one of being journalistically neutral? Snyder is not evil, best I can tell; he is tied to tradition and team spirit, like most of us. Each of us will answer and weigh the questions in our own way, but my own conclusion based on the investigation that follows is that NPR should begin to purposefully disassociate itself from using the Redskins or the Washington Redskins on air and online. The name should be avoided in Web headlines and used only infrequently in stories. Some news stories—not all—should note the name dispute in passing. Other features and analytical stories should continue to directly focus on the dispute and the use of Indian mascots by other teams, as was done this past season. Scott Simon, who has some leeway as a long-time host who also does commentaries, should be left to do what he is doing, as a major voice inside NPR reflecting a Native American view. The hope is to encourage a public debate, allow Native Americans to be fully heard and see what social consensus emerges. This course I recommend is necessarily messy, but it reflects how the accepted meaning of the name is being questioned and is in transition: changing, but not enough for NPR to put a moral stake in the ground and ban the name altogether. While editors can't predict the future, I am willing to wager that the Washington team won't be called Redskins in 20 years, and maybe not even in 10. Team owner Daniel M. Snyder insisted in an interview with USA Today that as "a lifelong Redskins fan," he will never change the name. "It's that simple. NEVER—you can use caps," he said. Snyder is neither evil nor a racist, best I can tell; he is merely sentimental, tied to tradition and team spirit, like most of us. The billionaire owner has even taken it upon himself to quietly visit Indian reservations across the country, many of them impoverished, to see how he might help them. Who knows? In a genuine national and local discussion over the team name, Snyder might be able to prevail. But my sense is that the tide of history is unmistakably moving against him—certainly enough so for NPR and the rest of the mainstream news media to begin to pull back and calibrate their use of the name. High schools and colleges have already largely abandoned Indian names and mascots. The NCAA in 2005 banned any college with "hostile or abusive mascots, nicknames or imagery" from hosting championship competitions. Most universities had by then eliminated Indian references altogether anyway. The Stanford University Indians became the Cardinal in 1973, for example. Sports teams at the Miami University of Ohio were actually called the Redskins but became the Redhawks in 1998. The University of North Dakota dropped the name Fighting Sioux after voters in a 2012 state referendum decidedly rejected it. The NCAA, with approval of the National Congress of American Indians, made an exception for teams carrying the formal name of a tribe, such as the Florida State Seminoles, the University of Utah Utes and the Central Michigan Chippewas. In these cases, the universities collaborate closely with the tribes. Meanwhile, 28 high schools across the country stopped calling themselves Redskins between 1990 and 2012, according to the Indian congress. Cooperstown Junior-Senior High of Cooperstown, N.Y., home of the National Baseball Hall of Fame and Museum, did so last year. The National Education Association in 1991 and 1992, the American Counseling Association in 2001, the American Psychological Association in 2005 and the American Sociological Association in 2007 passed resolutions recommending the end of using most Native American names and mascots in sports. So have the United States Commission on Civil Rights (2001) and religious organizations such as the United Methodist Church (1996). Groups representing other minorities, such as the NAACP in 1999, have closed ranks with the Indian coalition. A political noose is tightening, too. The Washington City Council in November overwhelmingly passed a resolution calling the team name "racist and derogatory" and urging it be changed, a longstanding council position. Mayor Vincent C. Gray publicly agrees. This can hardly be a good harbinger for getting needed city support as the team considers building a new stadium in the district. Lest it feel comfortable in its current quarters across the state line in Maryland, all the Democratic Party candidates for governor there made statements critical of the R-word in just the last several weeks. Lore holds that the name was picked to honor a flamboyant Indian coach, but his claim to being Native was almost certainly a fraud. Washington being the nation's capital, Congress has gotten in on the act. The Democratic leaders in both houses—Senator Harry Reid of Nevada and Representative Nancy Pelosi of California—have called on the team to change its name, as has Tom Cole, an influential conservative Republican congressman from Oklahoma and member of the Chickasaw Nation. Last month, he and Democratic Senator Maria Cantwell of Washington, chair of the Indian Affairs Committee, sent a sharp letter to NFL Commissioner Roger Goodell charging that it was inappropriate for the NFL as a tax-exempt organization to "profit from the continued degradation of tribes and Indian people" by having a franchise called the Redskins. Since 1966, the IRS has classified the league as a 501(c)(6) tax-exempt organization, similar to chambers of commerce and other professional sports leagues. Even President Barack Obama, an avid sports fan, has weighed in. 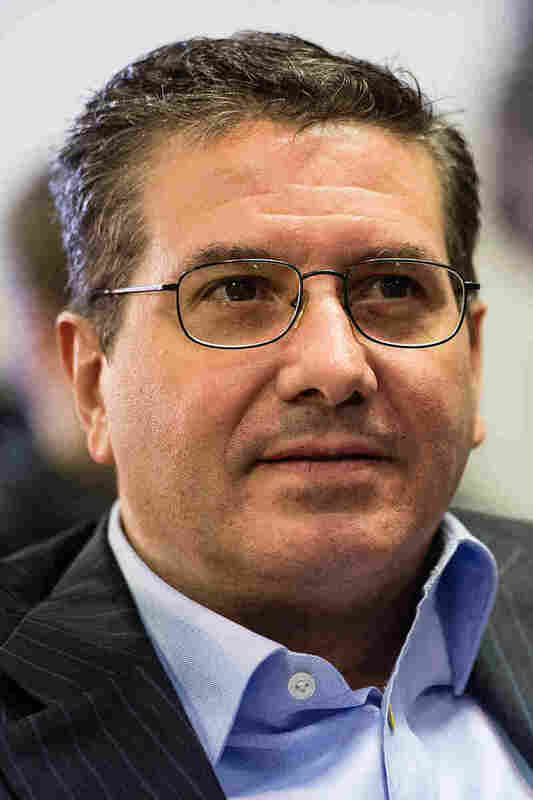 He told the Associated Press in October that if he were owner of the team, he would "think about changing" the name because it offends "a sizable group of people." "I don't know whether our attachment to a particular name should override the real legitimate concerns that people have about these things," he said. The trademark protection of the team's name is also under threat. Just this week, the U.S. Patent and Trademark Office rejected the patenting of "Washington Redskins Potatoes." In December, the office rejected the patenting of "Redskins Hog Rinds" for another company. The patent office has rejected about a dozen petitions to use the "redskins" name on the grounds that redskins is derogatory. Federal law prohibits registered names that are disparaging. Since 1992, Native groups have been pressing the Trademark Trial and Appeal Board of the U.S. Patent Office to lift protection of the name and logo of the team itself. The Indian group won once before the appeal board, only to be overturned in federal court, but the potato and hog rind rulings now appear to set a new precedent. 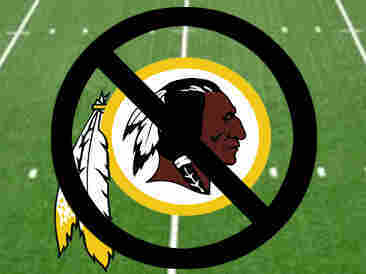 Removing patent protection would allow anyone to sell Redskins merchandise without paying the team. For the moment, however, Snyder is hardly under much economic pressure to change. The Redskins is the third most lucrative franchise in the NFL, according to Forbes Magazine's annual valuation of teams. Snyder's most immediate problem was a disappointing season; some fans have taken to calling the team the "deadskins." Team officials also have on their side three public opinion polls done last year. It is the overwhelming results of these polls that force caution before editors take the newsroom headlong down Scott Simon's path. A national poll of 1,004 adults done for the Associated Press-GfK found that 79 percent of Americans don't think that the team's name should change, versus 11 percent who do. The margin of error was 3.9 percent. A second national survey by Public Policy Polling, a firm associated with the Democratic Party, fleshed out partisan differences. Fully 90 percent of registered Republican voters said a name change is unnecessary, compared to 59 percent of Democrats, according to the poll. But this is still a majority of Democrats. Overall, 71 percent of Americans were found to oppose changing the name. The margin of error for the 741 respondents was 3.6 percent. Curiously, it is the fan base of the greater Washington area that is somewhat less loyal to the name. In a poll of 1,106 adults in the Washington area by The Washington Post, 66 percent favored keeping the name and 28 percent opposed. The margin of error was 3.5 percent. This is still more than two-to-one in favor of the name. But local support for the name might be less than nation-wide because of the proportionally large number of blacks and Democrats in the Washington area and the greater exposure locally to the arguments against the team's name. In what might seem a contradiction, for example, the local poll found that 56 percent of residents who favored the name believed at the same time that "redskins" is an "inappropriate way to describe a Native American Indian." The Indians had been defeated; no one polled them to ask if they minded being the mascot or name for a white person's team. These polls, along with my own informal sampling of some 50 colleagues and university students, suggests that to the extent that Americans think of Indians at all when they think of the team, they at least tacitly accept the explanation of the name offered by Snyder. "'Washington Redskins' is more than a name we have called our football team for over eight decades," he wrote in a letter to fans in October. "It is a symbol of everything we stand for: strength, courage, pride, and respect—the same values we know guide Native Americans and which are embedded throughout their rich history as the original Americans." It's a noble thought, but not one embedded in the history of either the word or the naming of the team. Full-blooded Native Americans do not actually have red skin. They are tan or brown. According to the authoritative Oxford English Dictionary, the term was first recorded by the British in the late 1600s in referring to the Algonquin peoples of the American Northeast because of their vermilion body and face paint. Historian Ives Goddard of Washington's Smithsonian Museum told NPR's Code Switch that Indians were the first to actually use the word to distinguish themselves from the mostly white-skinned British and French in negotiations. The name Oklahoma is derived from Choctaw words meaning "red people." Over the course of the 1800s, however, the word "redskin" in English evolved from being a neutral descriptive to a slur used mostly by whites. This was the century of the forced eviction of Indians from the East, the Indian Wars in the West and the confinement of Indians to reservations. Every dictionary I could find describes the word today as derogatory. When owner George Preston Marshall purchased a Boston football team, the Braves, and decided in 1933 to change the name, team lore holds that he picked Redskins to honor his flamboyant new coach, William "Lone Star" Dietz, who claimed to be all or part Lakota Sioux from South Dakota. The balance of the evidence, however, is that Dietz's claim was a fraud, invented at different times to get into free Indian schools, to avoid the World War I draft as a non-citizen Indian and to live out a romantic image of the lost noble warrior. Dietz was born in Wisconsin to a German-American father and probably a German-American mother. The coach, nonetheless, did bring four Native players with him and did seem to be sincere in his admiration for Indian culture. That, however, didn't stop Marshall from firing Dietz after two years and later moving the team to Washington. The romantization of an Indian past was popular in those years, even though the treatment of living Indians was quite different. Federal "civilization regulations" sought to extirpate Native culture by outlawing their dances, language and ceremonies, restricting their movement and coercing families to put their children into boarding schools and white adoption homes to make the children "white." A popular Tom and Jerry cartoon titled "Redskin Blues" in 1932 depicted the cartoon heroes as being attacked by stereotypical Indian savages and saved by the U.S. cavalry. If Marshall and his contemporaries were honoring Indians in naming teams after them, it seems to have been more as a marketing gimmick based on an image of Indians as fierce, much like when Pittsburgh called its baseball team the Pirates. The Native Americans had been defeated; no one polled them to ask if they minded being the mascot or name for a white person's team. Marshall, meanwhile, was hardly enlightened about race. He was a leader in keeping another race—blacks—out of the NFL. Under him, Washington was the last team in the league to integrate, and only did so after the Kennedy Administration threatened to take away the lease for his stadium, which was on federal land. But years of fan loyalty stoked by marketing, media coverage and genuine entertainment value have long since turned the name of the Redskins into a seemingly anodyne icon of good sports fun. This would seem innocent enough, were it not for the impact still today among Native Americans themselves. There is no good measure of Indian public opinion. Native Americans make up just two percent of the population. To do a scientifically random national poll, an extraordinary number of people have to be interviewed to scoop up enough Native Americans to be representative. The only attempt was as part of the University of Pennsylvania's 2004 National Annenberg Election Survey. Out of more than 65,000 adults interviewed over the course of nearly a year, 768 respondents self-identified as Native Americans. For them, one question was added. It asked: "The professional football team in Washington calls itself the Washington Redskins. As a Native American, do you find that name offensive or doesn't it bother you?" Ninety percent picked the answer saying that they didn't find the name offensive. This is the source of the repeated assertions by Snyder and NFL Commissioner Goodell that nine out of ten Native Americans support the name. This, too, is a reason why NPR and the mainstream news media should not rush to judgment on banning the name. But it is not reason enough to continue using the name freely. One problem is with the poll. It is nearly 10 years old. Also, it is unclear who these "self-identified" Native Americans were, a constant issue in Indian matters. 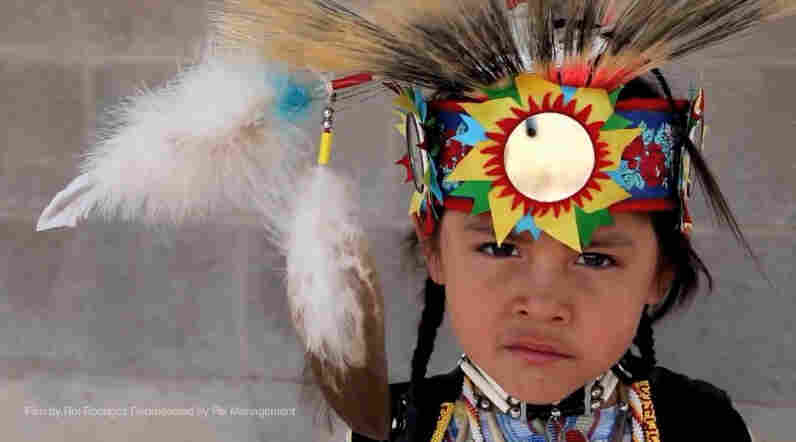 As the Associated Press reported, 2 million Indians are enrolled in the 566 federally recognized tribes, but another 3.2 million people said in the last Census that they, too, are Native American. There is no way to know what is Native about them. Adding to the confusion is that even among those who are enrolled in tribes, different tribes have different blood percentage requirements. Still, nine out of 10 is such a lopsided margin that many Indians, by whatever definition, clearly said in that poll that they weren't bothered by the name. This in part reflects a greater diversity among Indians themselves than is often recognized. Some genuinely like the attention that comes from the names and mascots. A high school football team on the Navajo Nation reservation, for example, is called the Red Mesa Redskins. The Spirit Lake Reservation in North Dakota opposed scrapping the Fighting Sioux nickname for the state university team. Casinos have given Native Americans the new ability to assert themselves in the modern American way: lobbying and public relations campaigns. But not too much should be made of these limited examples and the poll question. Some Indians use the R-word as blacks use the N-word. More generally, many Native Americans, like many struggling people, seem prone to acquiesce to labels and injustices, either out of resignation or because they have larger concerns to worry about. Native Americans suffer by far the highest rates of poverty, teenage suicide, drug abuse, alcoholism, fetal alcohol syndrome, teenage pregnancy and early mortality of any racial or ethnic group in America. Does anyone doubt that disparaging names don't have a psychological impact? We don't quite know how at a mass level, but anything that adds to the stigmatization already felt by Native Americans, and especially young ones, is terrible. Of all the academic denunciations of Indian mascots and team names, the one I take most seriously is that of the rigorous American Psychological Association, which in its 2005 resolution said that "the continued use of American Indian mascots, symbols, images and personalities establishes an unwelcome and often times hostile learning environment for American Indian students that affirms negative images/stereotypes that are promoted in the mainstream society." Self-esteem appears to be particularly damaged, the association said. Growing up partly in the South, I remember how impoverished black Americans there often shuffled along to get along, no matter how you addressed them. This was until the Civil Rights and Black Power movements exploded in the 1960s and African Americans took charge of their own destiny and what names they wanted to be called. Black Americans have made immeasurable strides toward equality as a result. The overwhelming opposition to the names and mascots by tribal councils represented by the National Congress of American Indians and other leaders across the country carries great weight, as most of them are elected. North Dakota, which demographically as a state has one of the largest proportions of Native Americans, may be the indicative. Though members of one reservation in 2010 supported the university's Fighting Sioux team name, leaders of the state's seven tribes and affiliated tribes in 2012 convinced Natives and whites alike to vote overwhelmingly to kill it. The position of tribal leaders, moreover, is not some phenomenon of recent "political correctness." The National Congress of American Indians first filed against trademark protection of the name in 1963—51 years ago. As the smallest and poorest of the racial minority groups, however, Native Americans have been little heard. But this is changing, largely because of money. Casinos and other new sources of income have given them the new wherewithal to assert themselves in the modern American way: lobbying and undertaking public relations campaigns. If you are a doubter about the complaints, as I was at first, I dare you to watch these two video spots recently released by the National Congress of American Indians and the Oneida Indian Nation. "I Am Not A Mascot" collects sound bites from women and men Native leaders across the country. "Proud To Be" is an evocative portrait of Indian diversity. It ends with the background voice intoning, "Native Americans call themselves many things, but the one thing they don't..." And the voice trails off to show a picture of a football helmet with the Redskins logo. Do you use other derogatory names for other races? Shouldn't you be consistent? Is it wrong for me to ask for that? Perhaps team owner Snyder can spark a groundswell of Native Americans whose voices will drown out their leaders and support the name of the Redskins. But how many of us believe that is really going to happen? No, the name most likely is toast. Editors setting newsroom standards have to keep their fingers in the air to judge which way the winds are blowing on the changing meaning of words in American society. Leaders of both the National Congress of American Indians and the Oneida Nation separately insisted to me that, among Native Americans at least, the meaning of the Washington team's name is clear and that it is well past time for NPR and the rest of the mainstream news media to ban saying it. "I urge NPR to be ahead of the curve," Jacqueline Pata, executive director of the Indian congress and a Tlingit tribal member from Alaska, told me. "You are a primary news media outlet for Indian Country, where radio is popular. The studies all say that the language you use about us has an impact on the self-esteem of our youth and who we are as a people." "We need you being a viable partner in saying that for educational purposes, this term is not acceptable anymore," she said. Ray Halbritter, the Oneida Nation representative and CEO of Oneida Nation Enterprises, told me: "It's an offensive term; it's a racial slur. It's a name you wouldn't use in casual or everyday conversation. Quite candidly, media outlets shouldn't play a role in perpetuating its use." "Do you use other derogatory names for other races?" he asked. "Shouldn't you be consistent? Is it wrong for me to ask for that: to be consistent as a news outlet?" "There is no gray area here," Halbritter told me. These are powerful arguments that point to the moral question of right and wrong. No matter our good intention or what the polls say, it is up to Native Americans to say what honors and what offends them.The word is a slur and was immoral all along for us to use. We just weren't ever forced to stop to think about it. Sentimentality over a team name got the better of us. It did of me, at least. And while Indian leaders consider the Washington team name to be the most egregious offender, their grievances apply as well to some of the mascots, cheers or logos associated with the Cleveland Indians, Atlanta Braves, Kansas City Chiefs, Chicago Blackhawks, Golden State Warriors and others. We do not make team mascots and names of any other race or ethnic group, aside perhaps from the Boston Celtics or the Notre Dame Fighting Irish, names Irish Americans themselves encouraged. Since the nation's founding, the majority culture has used derogatory terms and hate speech for almost every newly arrived racial, ethnic and religious minority and has dropped those words as that minority has assimilated and demanded and won respect. Think of your own group. How we treat Native Americans—the First Americans—is an exception. We are one of the rare multicultural nations in history to succeed. The name of a football team is not worth challenging that. I personally have come to agree with Scott Simon and would like to ban the name on NPR now, but I recognize that there is still a chance that the difficult-to-measure public opinion of ordinary Native Americans might embrace the team name. NPR, moreover, has a competing concern. To get too far ahead of its audience, as reflected by the polls, is self-defeating and challenges the viability of the broadcaster itself. Most editors at every independent, non-partisan, fact-based news medium that I know suffer over judging what is professionally ethical, what is moral, what is patriotic and how much they should lead or reflect the nation in their coverage. These dilemmas are felt doubly so inside a public medium. But help may be on the way: Washingtonians may be opening a hole toward daylight. In the Washington Post poll last year, 28 percent of area residents favored a name change. Thirty percent is often considered a threshold proportion that allows something major to happen. Thirty percent of employee approvals, for example, forces a union election under federal rules. Thirty percent also seems to be the magical tipping point in a Kickstarter campaign; a deluge of contributions and success are said to be likely if you can get past 30 percent of your fundraising goal. I don't know what the magical poll number is for NPR to decide that the meaning of the team's name has sufficiently changed for the moral and other arguments to tip the balance and justify banning the name on air. Every editor and every member of the NPR audience will have an opinion on this. But I do know that 28 percent of local public opinion and the force of the other arguments legitimize being judicious. This seems to be already happening on its own, judging by the large number of stories—14, on a national, non-sports network—that have addressed the naming issue since the beginning of last year. Reporters and editors, after all, are fans, too, but feel the growing local discomfort in Washington, home of NPR's headquarters. It is not NPR's position to be an advocate for what Snyder should do, but NPR does have responsibility over its own use of language. The newsroom makes word choices every day that reflect the institution's values. On issues as heated as abortion, gay marriage, tax policy, health care and foreign wars, advocates often use terms that NPR has decided not to use because an alternative is fairer, more accurate or not hateful. That the name of the team is its own and innocently repeated by most of us does not make it any less of a slur to many Native Americans. The United States is one of the rare multicultural nations in history to have succeeded. A main reason is that we have a Constitution that protects free speech but also protects minorities from the majority. The Supreme Court and most of our national institutions recognize race as a particularly sensitive class that deserves protection if the whole body politic is to hold together. We can disagree over what that protection should be, but almost all of us as Americans instinctively have come to show respect for each other's race. The name of a football team is not something worth clinging to if it challenges our fundamental social and political structure. If Native Americans want to adopt "redskin" as a self-description, as African-Americans have adopted "black," that's fine. But I don't see that happening. To me, the clock is ticking on the team name and what NPR should do about using it. Editorial Researcher Kiana Fitzgerald contributed to this post. The original post incorrectly identified the mascot of Stanford University as the Cardinals. The mascot is actually the Cardinal.